Venezuelan President Nicolas Maduro said on Monday the country's civil militia had grown to 1.6 million members more than tripling in size from the beginning of the year and that its mission was to defend the country against external aggression. Maduro's speech to militia members, broadcast on state television, came less than a week after the socialist leader, without offering evidence, accused the United States of plotting to invade the South American country, which is experiencing a severe economic crisis. 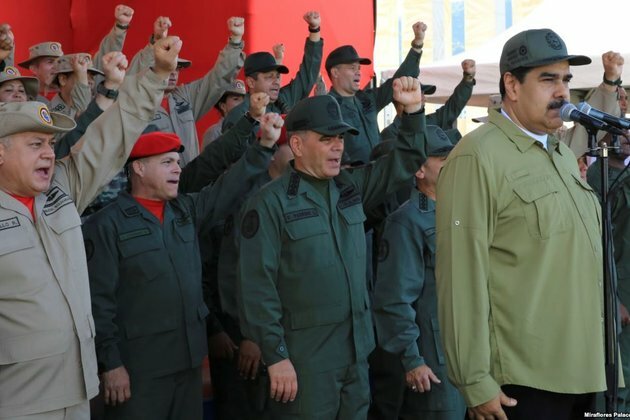 Maduro noted on Monday that he had given an order in April to boost the size of the reserve force to 1 million members. At the time, he said the militias had 'nearly 400,000' members.